Mary Pat Guerrier is the mastermind and master baker behind the confections found at Drizzles. Making cakes and desserts for her clients is the passion of this baker, something that is evident in the detailed attention she gives each creation. It is clear from cakes made previously that this baker is the very best when it comes to creating and executing custom cake designs. From traditional white cakes with pops of color to towering confections that are totally unique, this baker can do it all. Many brides spend the months and weeks before their wedding day stressed about the planning process and trying to maintain their weight so their dress fits perfectly. 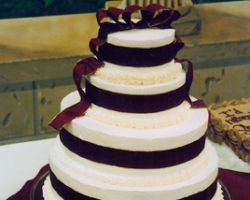 Your wedding day is the first chance you will get to enjoy all of your hard work and indulge in some delicious food and sweets like the Omaha wedding cakes made by Tasteful Indulgence. This company uses the richest and freshest ingredients to create their custom flavor combinations and beautiful cakes that are melt-in-your-mouth delicious. The Bel Air Banquet Room is a venue that hosts the baking skills and talents of Holly. 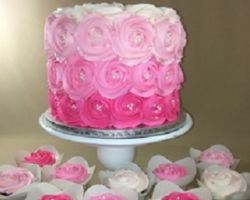 This expert baker can make a beautiful cake for your big day whether you are having your event at this venue or not. You can ask Holly to make one of her top design favorites or make suggestions about the design for her to follow. Whatever you choose, you can be sure that the cake will be beautiful, delicious and affordable. At $2.50 per serving, these cakes are also a bargain in the industry. 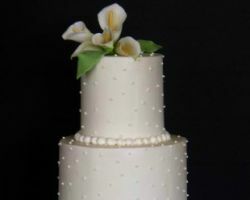 If you have an aching sweet tooth, then choosing the right cake for your wedding day is going to be extremely important. 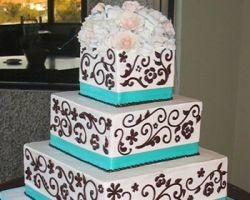 Cake Creations by Jackie is one of the most talented local cake bakeries making custom cakes for any special occasion. You and your guests will be wowed by the design and by the flavor of the confections created by this company. Celebrate the biggest day of your life with a cake that satisfies your sweet tooth and matches your personal style. Almost any bakery will make wedding cakes in Omaha, NB, but very few will make small versions of such cakes that are even more delicious and more fun. Small Cakes of Omaha specializes in making special occasion cupcakes. The small size of their confections means they can add more flavor into each, arrange them into interesting and elegant designs and easily serve them to guests. 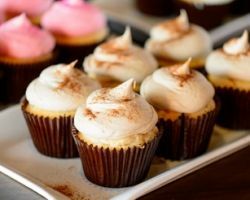 These cupcakes can be made in conjunction with a larger traditional cake for cake cutting moments. 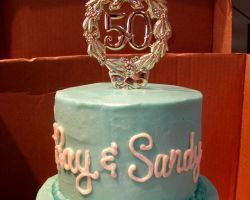 Sweet Cakes & Roses is a custom cake company that specializes in making formal and special occasion cakes. A dessert from this company may be just the thing you need to bring your party or celebration to the next level. You can choose from a variety of rich flavors and creamy icings at your personal tasting before working further with the designers to make a cake that suits the style of your Nebraska wedding. Call them as soon as possible to book their services for your big day. Omaha Wedding Cakes is a company that is revolutionizing the way brides and consultants look for and learn about their cake options. 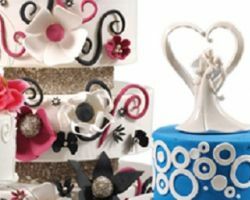 This company offers a website with all of the information about their services including what they are capable of doing when it comes to custom cakes as well as what price each service will cost you. From there, you can choose from the flavors and really choose a design that you love and have your wedding cake made for the big day with as little stress as possible. 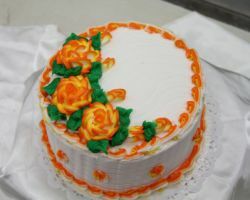 Since 1954, Pettit’s Pastry has been the local favorite for special occasion desserts and cakes. Whether you need a birthday cake, baby shower cake or wedding cake to name a few, this bakery can make all of your dessert dreams come to life. This business has been family-owned and operated since its establishment, so not only do you get the experience of the family when your cake is being made but also the personal care that comes from a company that has a passion for what they do. When you hear the name Gerda’s German Restaurant and Bakery, you might not immediately think that the company specializes in making delicious wedding cakes, but they do and are in fact famous for their towering confections. 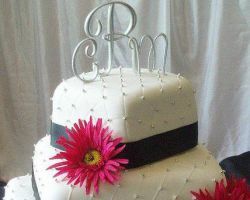 This company makes traditional white-tiered cakes with a personalized touch so they are always elegant. Whether you choose to have a custom cake topper or would like them to add flowers or ribbon into the cake design, they will create something delicious, timeless and classic.